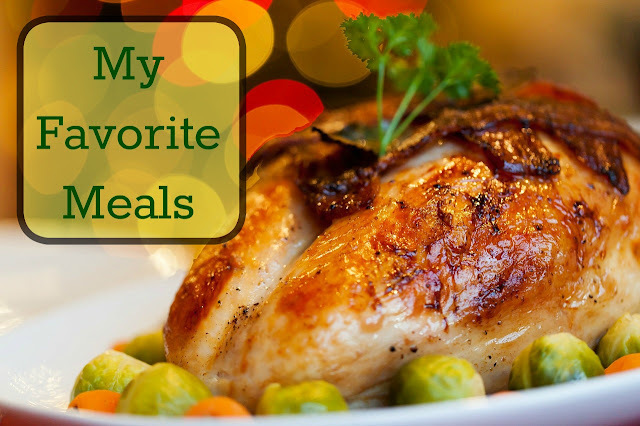 This week's list assignment was pretty simple: List Your Favorite Meals... because I am a total unabashed foodie! 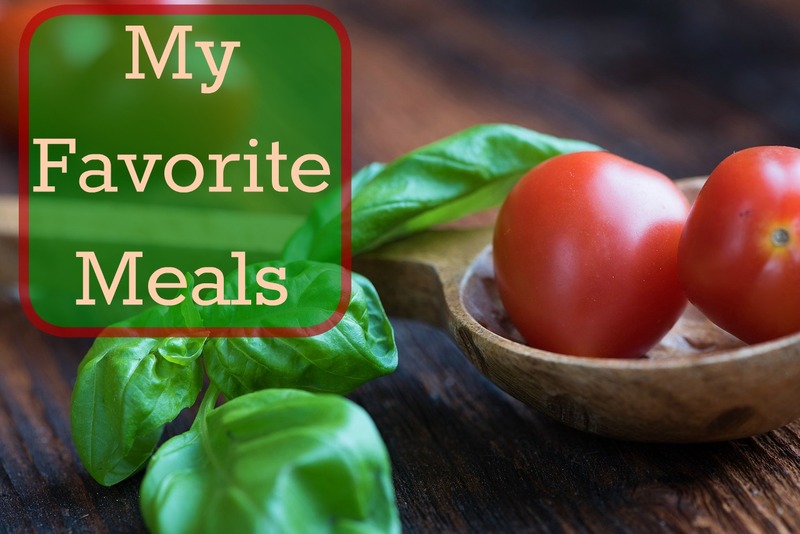 I love cooking and trying out new recipes and my list of favorites is often changing too. My only problem was narrowing the list down. I finally decided that much like my favorite snacks list I had to divide my list up. A large garden salad with all the fixings; especially with fresh berries on top! Anything made with fresh tomatoes, basil and mozzarella cheese; I just love that combo in the summer especially if it's drizzled with balsamic vinegar. Olive garden's mushroom ravioli with the cheese sauce, bread sticks, and salad. You have so many of my old favorites on your list. I had forgotten how much I loved chicken, broccoli, and rice casserole. And oh how I love the Olive Garden's mushroom ravioli. It broke my heart when I had to give up cheese. Enjoyed looking over your list! I do so love cheese; it would be so hard to give it up. Though lately I notice cheese and ice cream tend to make me feel quite sick afterwards... really hoping it's not an allergy! I haven't tried crockpot lasagna yet . . . I really need to give it a try! I definitely prefer the taste of "real" lasagna (and used to make small ones in loaf pans when it was just my husband and I) but I have found with three kids meals in the are so the way to go! They all sound yummy. We love almost anything on the grill especially pork chops with homemade baked beans, hot dogs, hamburgers, and chicken burgers. And all of these things are tasty with fresh corn and sliced tomatoes! I love summertime veggies and meats cooked on the grill. We'll pull the grill under our deck and cook on it in the fall and winter too but it's just not the same as eating outside in the summer with the smells from the grill surrounding us. Oh my goodness, these lists are making me soo hungry! I have seasonal favorites, too.